Our Club Suites are inspired by the timeless sophistication of San Francisco, highlighting the modern and luxurious designs and details that this city is known for. 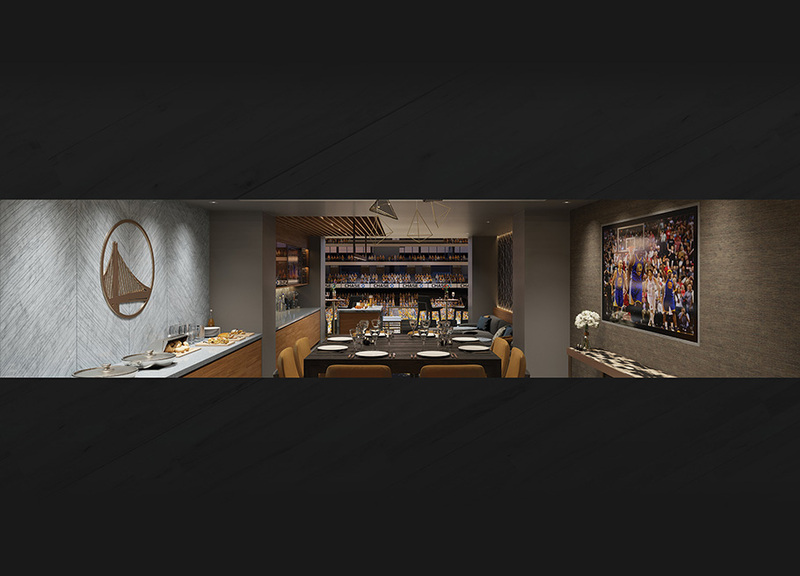 The Club Suites offer a range of seating types from a large communal table for dining or hosting meetings, a built-in sectional to lounge, along with high-top tables and balcony seating with views to the court. Indulge in an elite dining experience, complete with dramatic vaulted ceilings and extraordinary views. 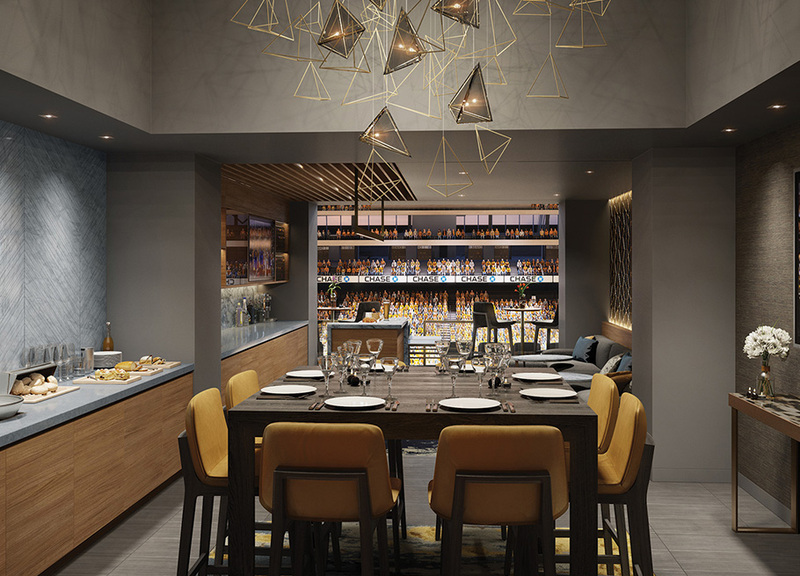 With advanced media displays, lounge seating and an expansive bar, these exclusive spaces are perfect for hosting your next client event. 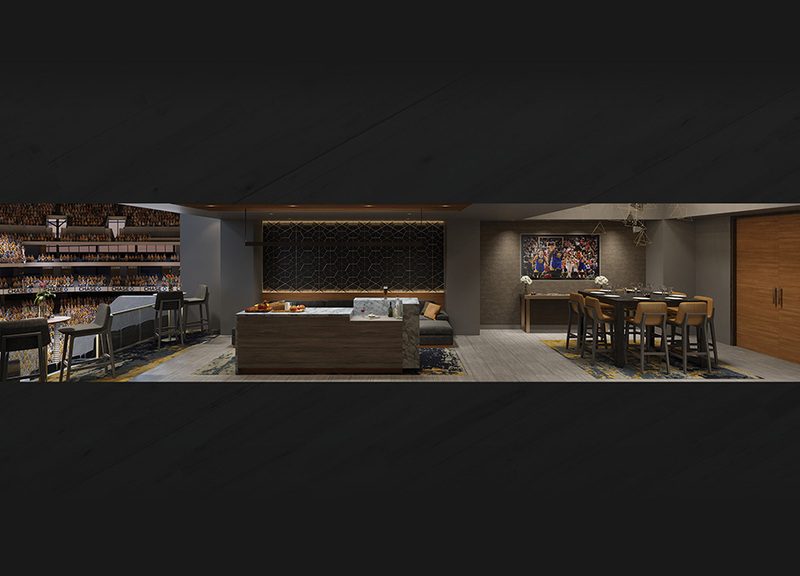 Gather and mingle with your guests while enjoying the game at our centered island bar.